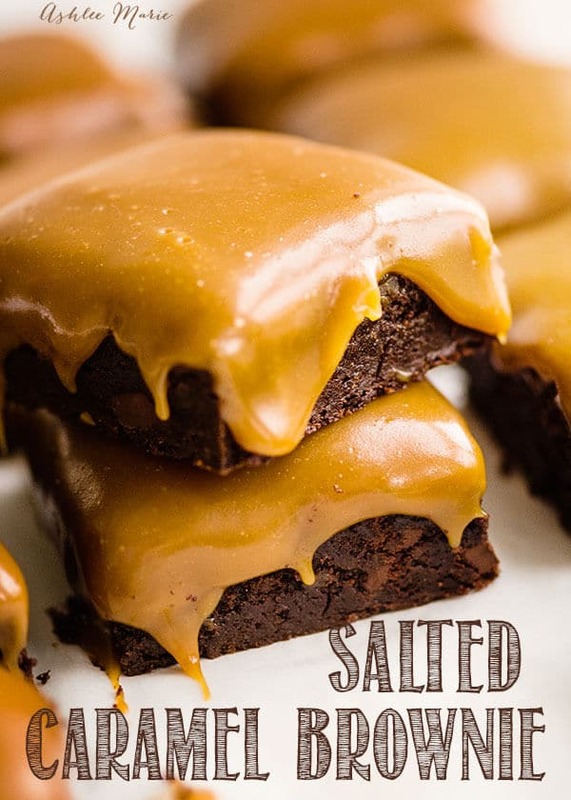 It doesn’t get much better than a rich chocolate brownie – But adding a gooey homemade salted caramel on top pretty much takes the cake – These Salted Caramel Brownies are a rich decadent dessert everyone will love! 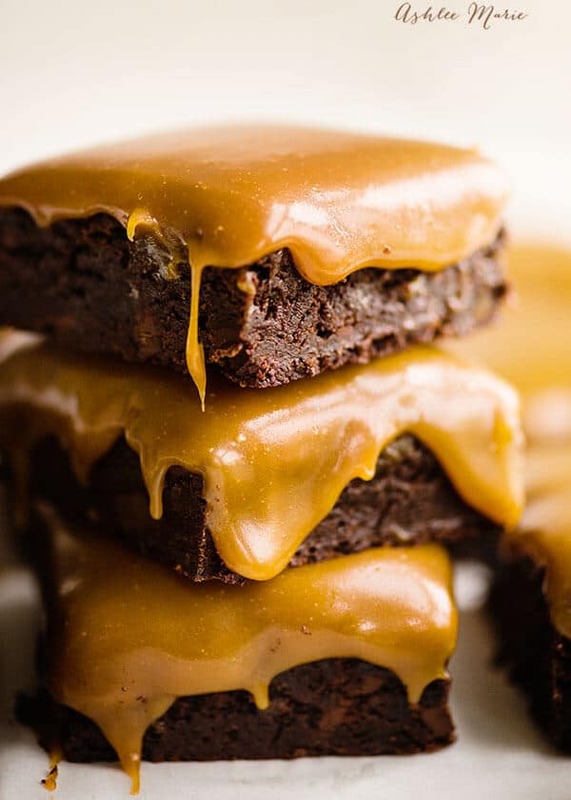 So a little back story – back in 2015 I was at a conference at a the Grand Hyatt in San Diego and they served these AMAZING caramel brownies, so I tweeted them, asking about the recipe and they responded by emailing me this recipe! @ashleemariecake Hi Ashlee! We found the recipe for these delicious brownies. Pls send your email address & we’ll teach you how 2 make them! But I didn’t make them quite yet, then in 2016 I had the chance to spend a weekend with some other amazing baking food bloggers and on afternoon for lunch we had these amazing caramel brownies and I was like DING! Memory! I had to dig that recipe up and give it a try! 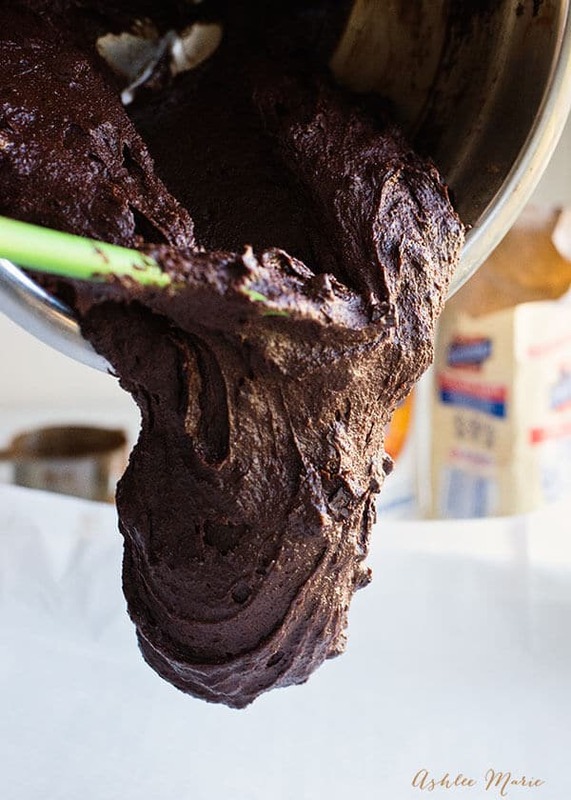 Now I’m only making one pan of brownies, not hundreds of pans for thousands of people so I made some changes from the original but the end result is a rich decadent dessert everyone will love! This amazing weekend was made possible by amazing sponsors! We used all these ingredients in our baking AT the conference and brought more home to continue to work with. AND it just so happens that these ingredients were perfect for these brownies too! 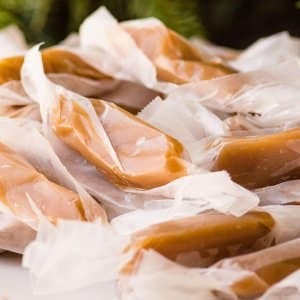 Dixie Crystals Sugar (or Imperial sugar depending on where you live in the USA) – love their sugar! We even made sugar scrub! Safest Choice Eggs – I love these pasteurized eggs, PERFECT for homemade eggnog! Theo Chocolate – both bars for eating AND baking! 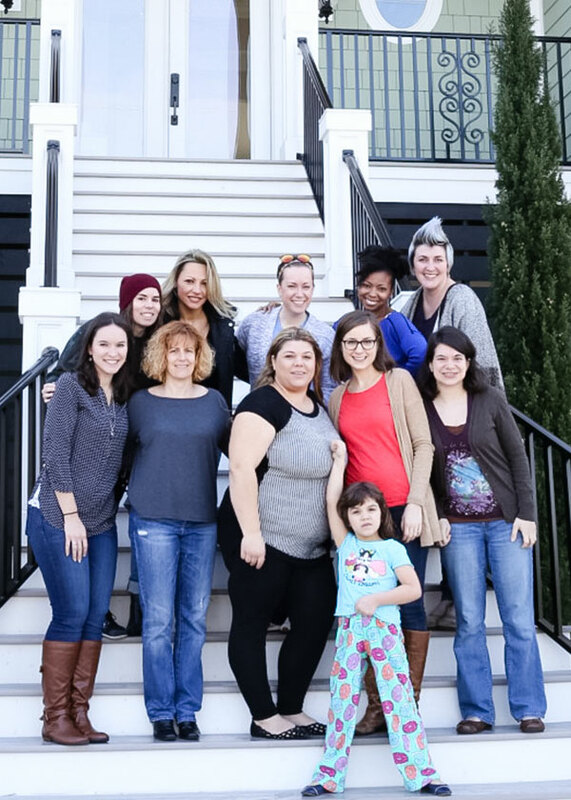 We had a chocolate tasting party, seriously YUM! Gold Medal Flour – Do you know how much flour I go through? This stuff is a staple for me! 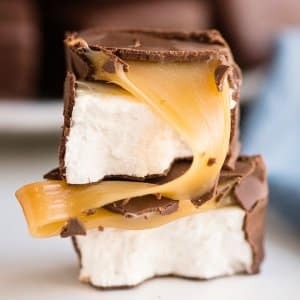 I love the chopped 70% dark chocolate bar throughout – but of course I’m a dark chocolate fanatic – so remember you can either leave them out, or go with a lighter chocolate if you prefer! 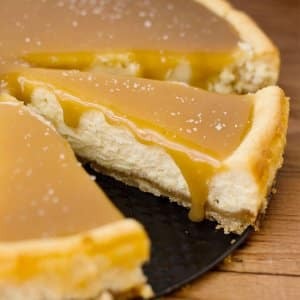 The caramel topping is on the goopy runny side (I love it)… IF you want it to be thicker use a little less butter and/or less cream, DON’T simply cook the caramel longer, it will burn and not taste right. 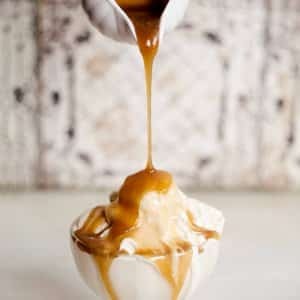 Salted caramel is a little tricky – not everyone loves the same amt of salt! 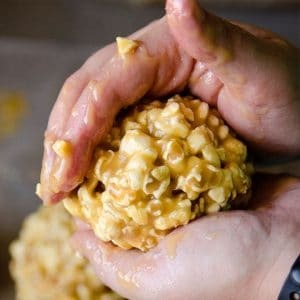 If you aren’t sure if you love salted caramel then go light handed the first time you make it… I am an admitted salt fanatic so I went a little heavy but it was too much for some people. If you love Caramel Brownies as much as I do, I’d love a 5 star review and be sure to share on Facebook and Pinterest! If you want to stay updated on new recipes sign up for my newsletter and join my Facebook Group! 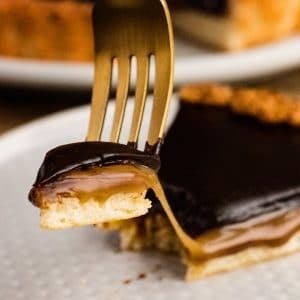 To watch me make these Caramel Chocolate Brownie Recipe play this Video (if your on desktop it should already be playing)! 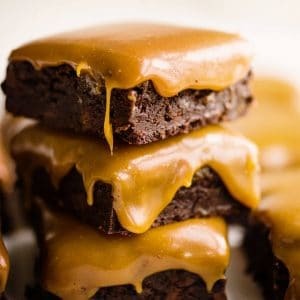 It doesn't get much better than a rich chocolate brownie - But adding a gooey homemade salted caramel on top pretty much takes the cake - These Salted Caramel Brownies are a rich decadent dessert everyone will love! line an 9x13 baking dish with parchment paper and set aside. Stir in sugar, eggs, vanilla extract, salt and butter. Once combined, fold in cocoa powder, flour and chocolate chunks and stir until everything is combined. 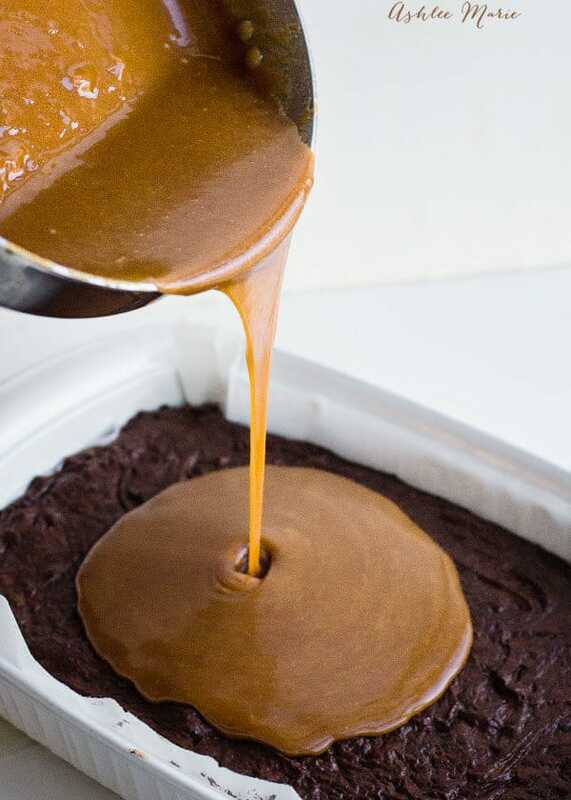 Pour the brownie batter into the baking dish, spreading evenly to the edges. Bake for 45-50 minutes or until a knife inserted in the center of the brownie comes out clean. Once it's all melted it will start turning a golden color, it will take about 5 minutes. Once it becomes a dark amber color, remove from heat and stir in butter. Be careful the mixture will bubble, a LOT. Pour in the heavy cream and sea salt, stir until everything is combined. Place back on the stove for about 30 seconds, stirring all the time. Wow! These look amazing! I can’t wait to try them. seriously SO GOOD! let me know what you think! Oh boy ! Perfect treat and perfect photos ! Thank you for sharing and have a pleasant day !